DONALDSONVILLE, La. 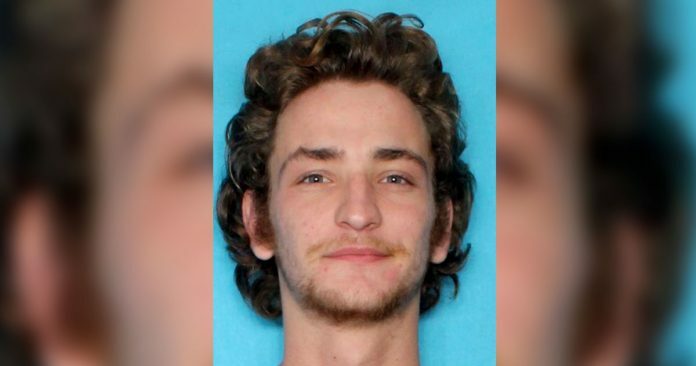 (AP) — A man suspected of killing his parents and three other people – including a girl he was dating – has been captured after an intense manhunt spanning several states, authorities in Louisiana said Sunday. Dakota Theriot, 21, was located in Virginia early Sunday after fleeing the day before, according to a statement by Ascension Parish Sheriff Bobby Webre and Livingston Parish Sheriff Jason Ard. Theriot was arrested by the Richmond County Sheriff’s Office. The statement said he will be brought back to Ascension Parish to be booked on two counts of first-degree murder, home invasion, and illegal use of weapons. Authorities said Theriot first shot and killed three people – the woman believed to be his girlfriend, her brother and father – in Livingston Parish before taking her father’s truck, driving to neighboring Ascension Parish, and shooting his parents. Authorities earlier identified the other two victims as Theriot’s parents — Keith, 50, and Elizabeth Theriot, 50, of Gonzales. Crystal DeYoung, Billy Ernest’s sister, told The Associated Press that she believes Theriot had just started dating her niece, Summer Ernest. “My family met him last weekend at a birthday party and didn’t get good vibes from him,” DeYoung said. She said she wasn’t sure how her niece and Theriot met, but that she believed the relationship was relatively new.